Poland's Ministry of Foreign Affairs and the Ministry of Entrepreneurship and Technology have created a brochure to inform businesspeople of the consequences of the UK's exit from the EU. 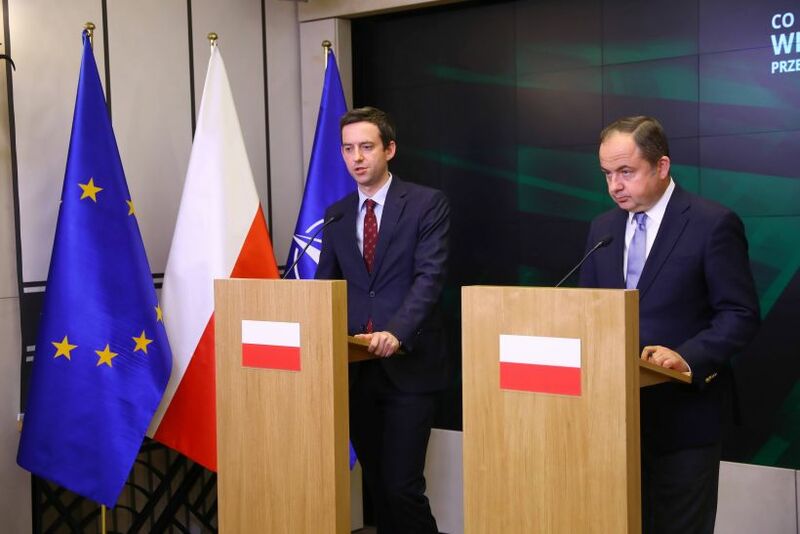 At a press conference on Wednesday, Deputy Foreign Minister Konrad Szymański said that the brochure was available online and presents "a quite detailed field of questions that businesspeople should respond to." He said the brochure would prepare Polish business for both hard and soft Brexit scenarios. He said: "A no-deal exit of the UK from the EU means that at the end of March 2019, Great Britain immediately becomes a third country with all its consequences - customs, bureaucratic, administrative, with the necessity of confirming a countless number of documents in the field of security, the origins of products, services, personal data." He added that, "this is the reason why businesspeople, who today are sub-contractors, who deal in goods and services with Great Britain, should start to think about what will happen in their particular case in the event of a no-deal Brexit." Marcin Ociepa, Deputy Minister of Entrepreneurship and Technology responsible for European affairs, stressed that the consequences of Brexit could be serious for the Polish economy. He said: "The numbers here are inexorable. Great Britain is the third most important sales market for our products, it is the second most important recipient of agri-foods. We see a significant surplus in trade turnover with Great Britain - in the first half of 2018 we're talking about EUR 4 billion. Great Britain occupies third place among our most important export markets for services." He added that "this all means that how Brexit will look and how Polish businesspeople prepare for it is of strategic importance to us." Szymański went on to stress: "Without regard to whether Britain's exit from the EU will take place in a contractual, orderly, predictable way or not, the [Polish] administration will be prepared to react in the appropriate way to protect the rights of Polish citizens, as well as guaranteeing that the functioning of the Polish economy in Polish-British relations is maintained." Brexit brochure can be downloaded HERE.